Bring a taste of Spain to your next pot luck or dinner party. This tapas recipe is fast and easy. It literally takes no more than 10 minutes to put together. However, it really needs some time to marinate, at least 12 hours but 24 would be so much better. 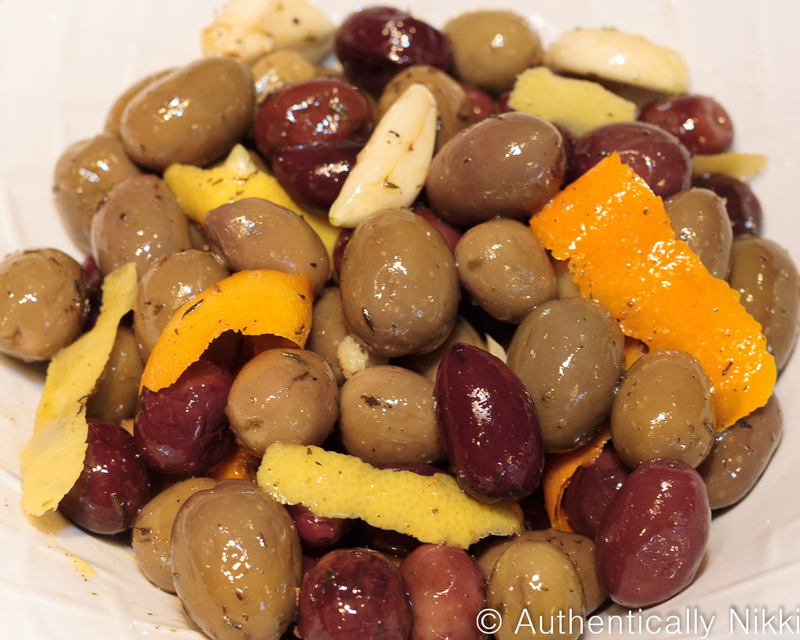 Use whatever olives you prefer: mixed, all green, kalamata or whatever floats your boat. It is amazing how good olives can taste after a nice long bath in citrus, garlic and thyme. ¡Buen provecho!